Douja is definitely the most democratic wine event in Italy as it is open to the public who can taste the best wines from the best Italian producers! 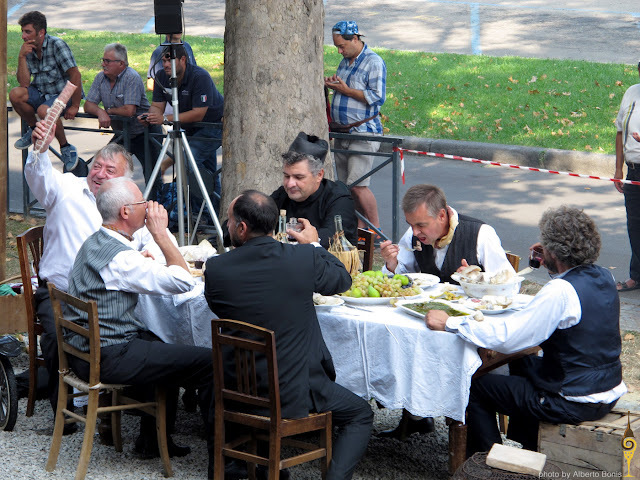 There are also top chefs who present their signature dishes to best pair the wines. 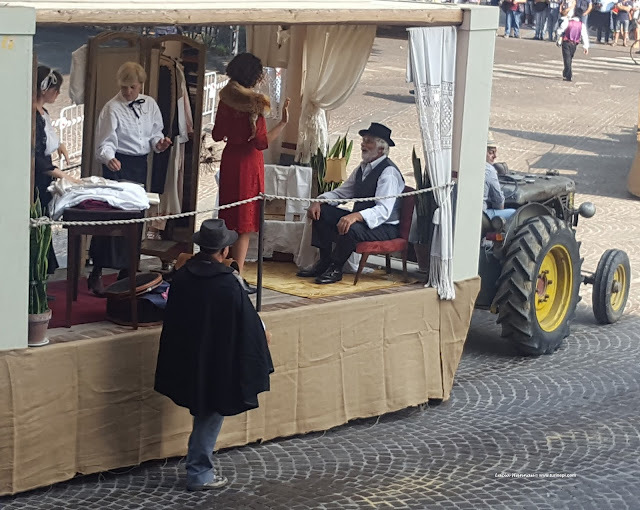 Douja D'Or culminates into the Sagra delle Sagre - the Food Festival of the Food Festivals that takes place on the second Sunday of September and it starts with a big parade of living historical scenarios - moving tableaux vivants. 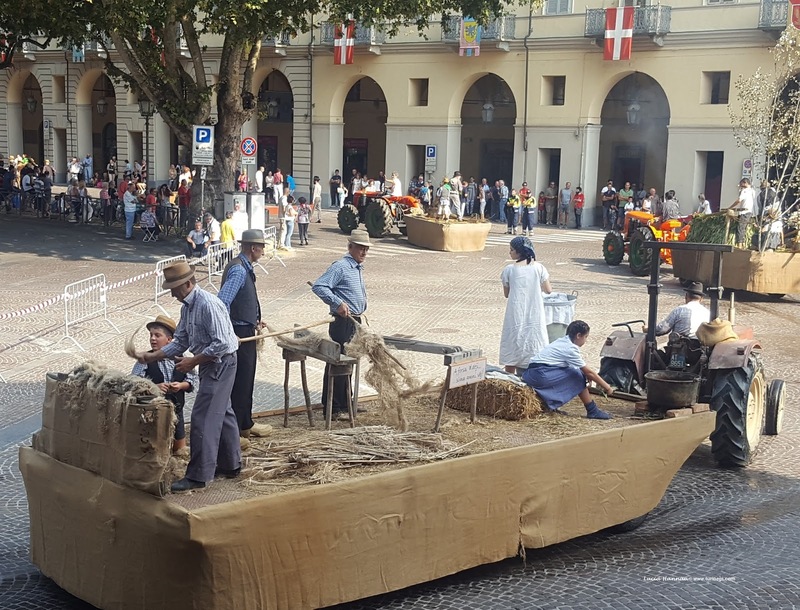 This year the theme was "the four seasons" and all the small municipalities of the wine country around Asti paraded portraying an aspect of the country life from the 19th century to the 1950s. There was the truck carrying the huge ice cube when people didn't have refrigerators, there was the country doctor office, the different phases of the hemp manufacturing, the school, the cherry picking and many more! This parade always ends in a big square, Piazza Campo del Palio where many street restaurants are organized to allow all the visitors to enjoy the very diverse Piedmontese specialties. We are talking about 80 different dishes of pasta, meats, side dishes, breads and desserts. 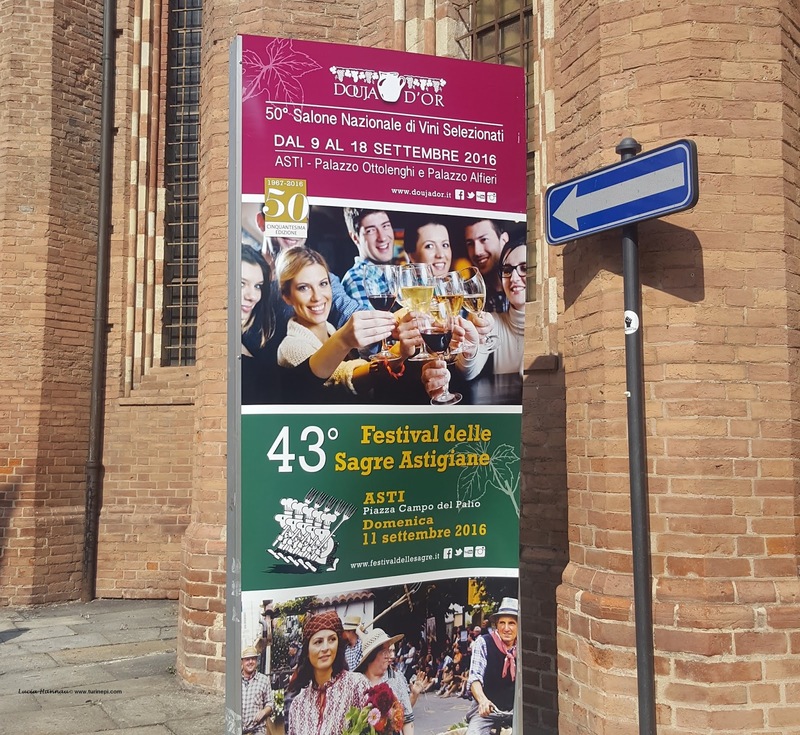 As part of the Douja events there are also wine presentations: this year Ian D'Agata, creative director of the Collisioni Festival Wine Project and native vines expert, gave a presentation about 4 native vines of Piedmont that are now at least in part grown in other countries too. Italy has more native vines than any other country in the world and Italian wines offer the widest array of aromas and flavors. Moreover, for the joy of any wine lover, about 30% of all the world grapes is from Italy! Native vines have adapted to their terroir and are highly sustainable as they distinguish and add value to the lands where they are cultivated, polarizing the business flow. 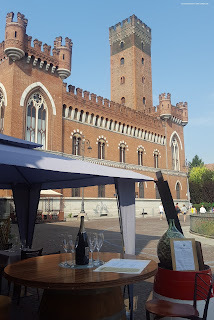 So, the Piedmontese native vines are the first ambassadors of Piedmont wines as they keep attracting interest of the countries where they don't traditionally grow but that have adopted them. To further show how more and more other countries are growing Piedmont native vines to produce new high quality wines, Ian D'Agata invited Mick Unti of Unti Vineyards (California) and Patrick Taylor of Cana's Feast (Oregon) who produce Arneis, Barbera, Nebbiolo and Vermentino (Favorita). Naturally, these wines will never taste exactly the same as those made in Piedmont because the terroir is very different and the climate, sun exposure and rains isn't exactly the same. Yet, as Ian pointed out, these are great examples of how Piedmont vines can produce more and more interesting wines outside of Piedmont and how their non-Italian production can directly create interest and curiosity in the consumers and ultimately bring them to purchase the Piedmont produced wines. 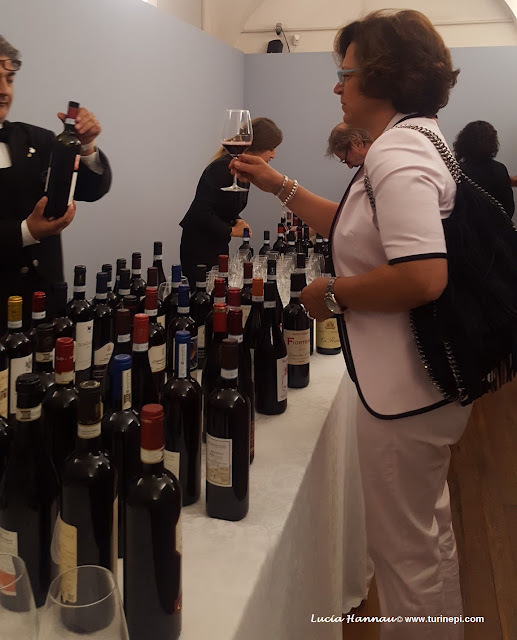 Michaela Morris forecasts a big success for Piedmont wines in Canada as Canadians have already shown a big interest in other similar flavored wines produced in other Italian regions. Lingzi He added that Piedmont wines, like Nebbiolo and Malvasia are already a great success in China and very easily Grignolino and Freisa can also become great sellers. - Malvasia di Schierano was already produced in 1468 in Piedmont and it is 1 of the 17 Italian produced Malvasia wines that come in 3 variants: white, red and rose'. 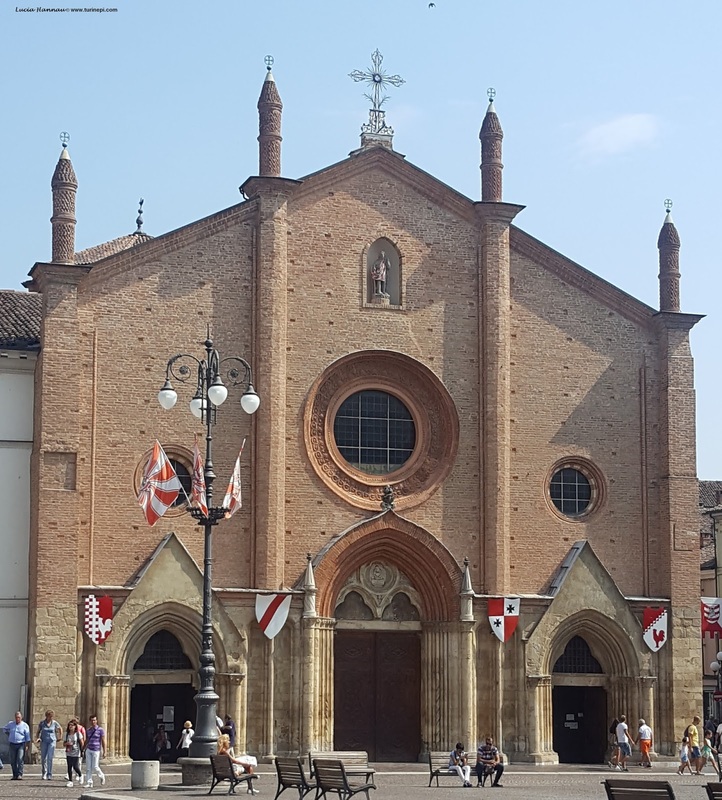 - more than 1/3 of the Langhe and Monferrato vineyards were cultivated with Freisa "because it was good against the plague" - so the legend has it. Freisa is the closest - genetically speaking - wine to Nebbiolo. Now Freisa is also produced in California and Oregon, however, Malvasia is still only grown in Italy. - Grignolino was already famous back in the 13th century, and there used to exist an bubbly variant too but it was rather expensive to make. This is a tannin rich and acidic wine produced outside of Italy too. - Ruche' di Castagnole Monferrato produces very different wines depending on the soil and it is also produced in California and Australia! Definitely only after trying the different terroir we can choose what we prefer, which is why you have to come over to Piedmont to savor our original wines, paired with our local traditional specialties in our magic lands.